If your opinion is in line with one of these choices, we get it. We were either a member of your camp before our first taste of awesome or we’re accustomed to responding to labels such as these, or both. 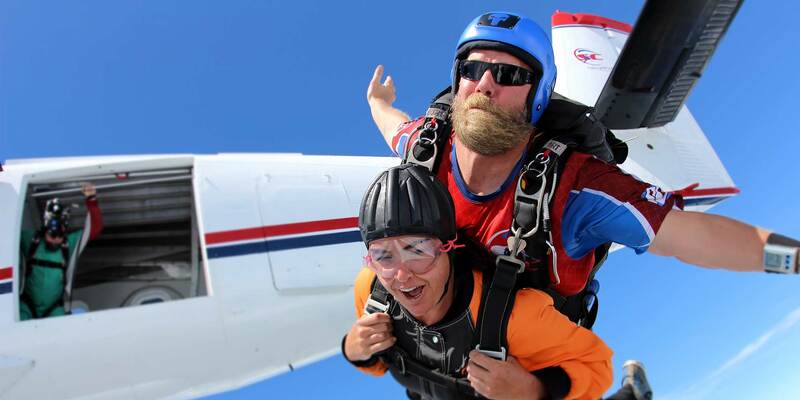 Everyone starts with a a tandem jump whereby they’re strapped to a professional skydiver who gives them the ride of their life while minimizing the risk involved by taking care of the details. As one would hope, that super-cool, seemingly laid-back professional is highly trained and credentialed. 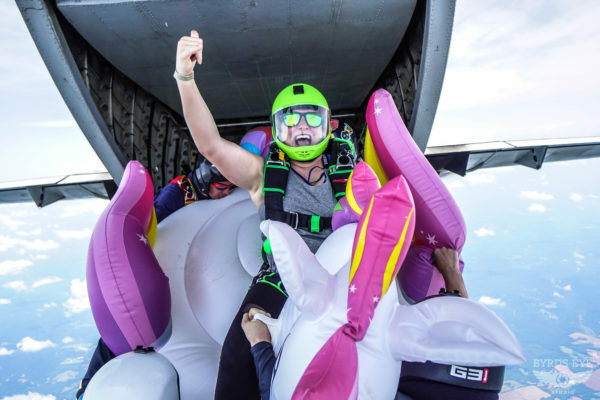 They’ve undertaken Accelerated Freefall Progression (AFF or AFP) training and have matriculated through four license courses sanctioned by the United States Parachute Association: A, B, C and D.
Experienced skydivers are supremely safety-conscious and mega disciplined. From keeping a detailed logbook, meticulously caring for gear and equipment and knowing how to pack their own parachutes … to mastering the art and science of the many different types of skydiving (Formation Skydiving, Vertical Formation Skydiving and Canopy Relative Work, to name a few) and competing in events across the globe, there’s no shortage of badassery in skydiving. 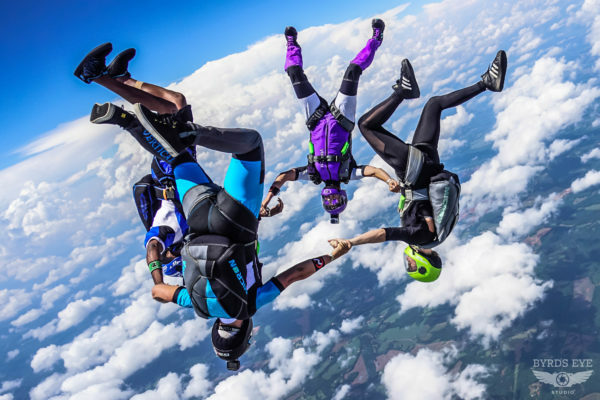 Skydiving offers a delicious series of in-the-moment thrills to be sure – your brain releases an amazzzing cocktail of chemicals that make you feel on top of the world (hello adrenaline, serotonin and dopamine). But the psychology of skydiving runs deeper than that. There are long-lasting effects to doing what most would deem impossible – to cheating death – and coming out on top. Life-affirming activities like ice-climbing, BASE jumping and skydiving are predictably empowering and confidence-building, and, perhaps surprisingly, linked to humility and a sense of calm. As is evident, that whole “awe thing” seeps into most every aspect of extreme sports with gorgeous repercussions. Here’s another angle. When you knowingly stretch your hand into the unknown, you learn things, garner a new perspective and achieve access to corners of your mind (spirit? essence? being?) that you carry with you always. Some who peak behind the curtain are satisfied with a glimpse; others yearn for more, venturing into the fold again and again until the itch is good and scratched. Most people know the expression: Curiosity killed the cat. But what most don’t know is that the phrase has a second half: Satisfaction brought it back. We dig it. Ready to Scratch Your Adrenaline Itch? If your curiosity is getting the better of you, come and see us. We can’t wait to share the sky with you.